I've seen lots of "leaks" all over the internet. 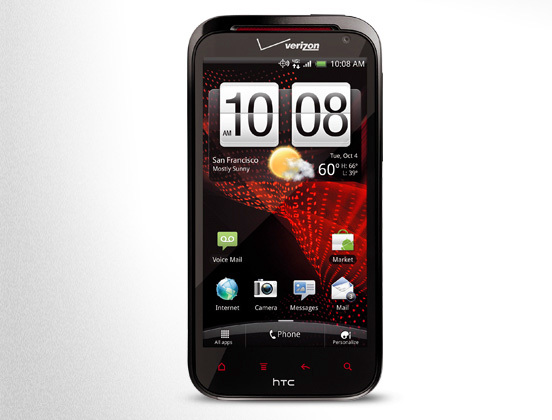 Just search for "htc rezound ics" or something similar. I came across the only reliable source: HTC, the manufactureer themselves. 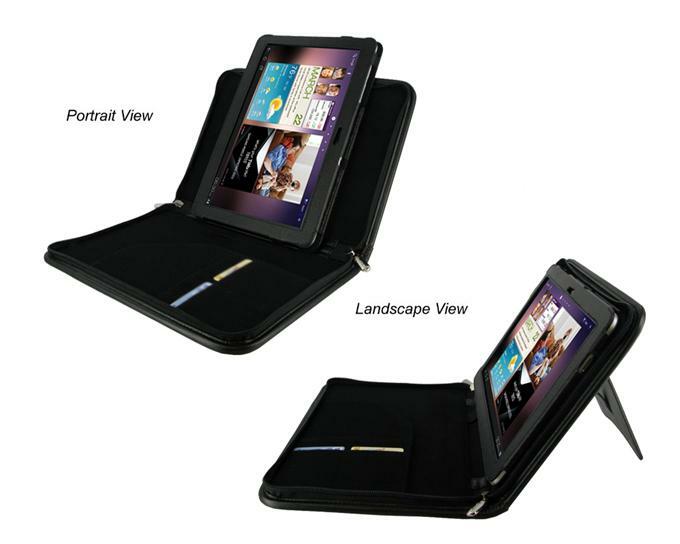 A case for the Samsung Galaxy Tab 10.1 is very necessary. The very slippery Samsung tablet can easily be dropped. The total weight is 1170g (41.5oz) - case + sleeve + tablet. So this will make the device weight as much as a netbook of the same screen size. When used with the stand, it is more of a presentation device. It will not allow you to touch type on the screen. The device and sleeve can be taken out of the case. It rests inside with two velcro attachments on the back of the sleeve. It feels like leather. Its built strong and stiff. The nylon zippers have two pull tabs. When the device is fastened and zippered up, the total package feels very solid and heavy. It seems the case is more luxury than utility. Just got this tab. It was preinstalled with Android 3.1. It crashed overnight for no reason. In fact it crashed everyday for no reason - while on standby. After an update to Android 3.2, it stop crashing. The glass face is very slippery. The plastic back is very slippery. It will slip off your hands unless you get a case for it. It feels solid. It feels heavy. 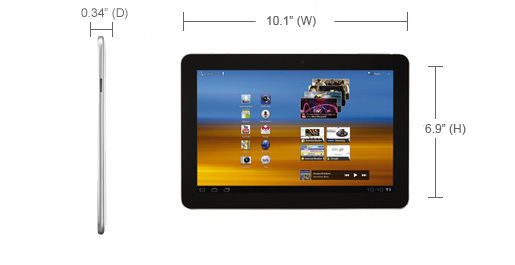 It is about the size of a netbook of the same screen size. It fits in a case designed for a netbook, but very loosely. It connected to my Logitec DiNovo Mini right away. I was able to type on the keyboard and move a mouse pointer with the built in touch pad. I was able to pair the tab with my printer but it would not print. When I try, I get a prompt that tells me it can only print to Samsung printers. There are two speakers. The stereo sound was good in a room and perhaps outside if its not loud. There are two. The camera app lets you take pictures with either the front or rear cameras. They can be switch with a single tap. There is an LED flash. The LED can be used as a flashlight. I found many apps that let you use the LED for this function. There is no option to plug in an SD/micro SD card. They sell an adapter for adding a micro SD card. There's also an adapter for plugging USB devices such as a keyboard, mouse, or USB Flash drive. Which is kind of messy. Those should have been built in. I would stick to bluetooth accessories.